First Steps for Black and White: Get a Camera! The first step into the wonderful world of analog photography is to get a camera. Before you work in the darkroom, learn to develop film, enlarge your own prints, or anything else of the sort, you need to get a camera. Fortunately, countless were made throughout the 20th century, most still work, and most go unused. 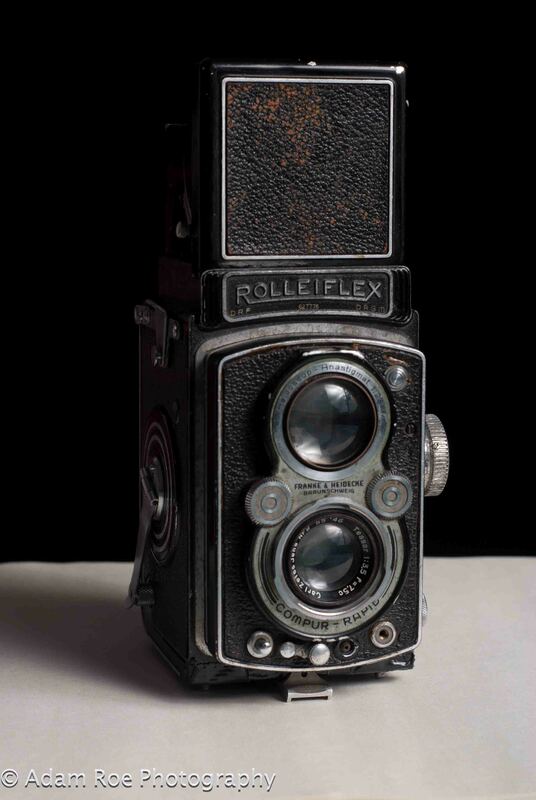 For most of my artistic black and white work, I used old medium format cameras, like the Rolleiflex which was once my grandfather’s. Your parent’s attic is the first place to look. Old lenses like these still work great for black and white photography. I use a lot of 35mm film cameras (“normal” size), too. You can get some of the classics (like a Canon AE-1) for a hundred bucks. Unlike in digital, the camera doesn’t affect the pictures. The photographer does, as does the lens, the film and plenty more. For Berliners, don’t buy something at Mauerpark – it isn’t likely to work. Try ASA90 in Neukölln instead, the cameras will work and are warrantied. Plus, the guy is awesome. 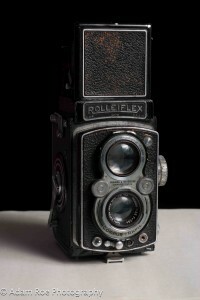 My grandpa’s Rolleiflex, from the attic. This entry was posted in black and white, Camera and tagged analog, black and white, camera, darkroom, photography on June 18, 2013 by Analog Photography Berlin.